With its large houses, well kept streets and outstanding schools, North West London is a hot spot for families looking for a quieter life in the capital. This coupled with access to the Metropolitan Line in Pinner - which has the new style, air-conditioned carriages - the Piccadilly Line that runs through Ruislip and the Overground that provides services to Watford, makes this part of London perfect for professionals too. Pinner, in particular, is attracting development projects like Pinner High School, which will open in 2016 to specifically accommodate families in Pinner and facilitate the onward transition of children leaving one of the many OFSTED Outstanding primary schools in the area. As construction rates rise, so do the number of tenants moving to the region, as new and improved amenities and facilities provide convenience for increasingly busy lifestyles. There's plenty to get excited about in North West London at the moment, as an increasing number of construction projects are being planned and approved. On the Kodak site between Harrow and Pinner, Â£320m is being spent to redevelop what is to be known as Harrow View, producing 985 new homes, a primary school, a medical centre and shops that will transform the area into a thriving community. Just outside of Pinner in South Ruislip they are also developing The Old Dairy at a cost of a whopping Â£100m in total, building a new 11-screen cinema, homes, restaurants and a supermarket. Creating a buzz surrounding the region, this type of investment in North West London is fantastic news for buyers, as more and more amenities materialise in areas where they are lacking. I have had the pleasure of working with Cinzia from Foxtons North Finchley office in the recent weeks. With her professionalism and kindness I felt taken care of. I definitely will recommend my friends working with her and Foxtons. I'm new to London and new to the rental market even though I'm over 40! This can be quite a daunting task to undertake but I walked into your Finchley branch and was instantly put at ease from your colleague Rafeena. From the start she answered all my queries, made me feel nothing was too much trouble or any question too stupid. She was polite, professional and I felt she would help me achieve the best short term rental for my son and I. Within a day she had set up viewings on potential rentals in Finchley which were exactly to the spec I had asked for. She didn't try and rent me something I wouldn't want or need. I would have no hesitation in recommending your company. Rafeena is a real find in customer service she goes above and beyond what is expected a real asset to Foxtons. I would like to say a huge 'thank you' to Ivan and his team for their professional and very patient efforts in obtaining the sale of my brother's flat. Indeed it was a complex sale but Ivan was extremely helpful. Special thanks to you Ivan. You are a credit to Foxtons. I would like to sincerely thank AISHA in your North Finchley office who helped me search for a suitable property with Foxtons. In spite of the numerous trials and tribulations we had to go through during the process, Aisha was extremely professional in her approach, went over and above what I would have expected from an estate agent and I found his guidance extremely valuable. I would recommend her and if we get the chance I will work again with Aisha. Foxtons North Finchley were an amazing part of me and girlfriend trying to find our first flat together, Rafeena really helped us find the perfect flat, she is amazing, thank you so much. Aisha is a fabulous estate agent. When I told her what I was looking for in a flat, she managed to pull out all the stops and show me some great properties. She is very good at her job. She listened to what was wanted and we didn't get the feeling that this was just about getting the rental signed. I felt she cared. You have a great employee in her, you should keep her and promote her. I would like to mention Matthew for his outstanding service and patience with our numerous housing disappointments. He managed to find the right house for us, as four female students at a reasonable price, with added extras and luxuries! Blair was absolutely committed and relentless in his efforts during my property search. Blair's customer service was exceptional and I'd like to say a big thank you for all his hard work. Blair's customer service was absolutely amazing! He was genuinely interested in me finding my dream flat and made me feel like I was one step closer to finding it. Thank you so much! Although on this occasion our house was not bought through Foxtons, we felt it necessary to highlight and to thank Blair for all his hard work, commitment and dedication in helping us during our house-hunting experience. He went above and beyond for us and it was truly appreciated. Anna was outstanding in trying to sell our property and find us a house. She really went out of her way and even accommodated our late hours home from work. She is dedicated and listened to everything we asked for. She will definitely go far in her career! Just wanted to let you know how impressed we have been by Anna. She has been far and away the most professional of all the estate agents we have dealt with in the Finchley area. She is a credit to Foxtons, polite, friendly, responds quickly and gets the job done. Dear Sirs, I would like to inform you that I have been dealing with your employee Matthew in your North Finchley office for last couple of weeks. Although I haven't found the suitable flat to rent yet but he has provided an excellent service to show available flats to rent, he is very keen on his job very accommodated to arrange viewings. I would definitely use you state agent again and will highly recommend him and you north Finchley branch to my colleagues, family and friends. My daughter recently rented a property and within 24 hours from viewing to signing contracts, Alice from North Finchley showed the utmost efficiency and politeness throughout. We were so impressed and feel she definitely deserves the recognition. We are very grateful to Ivan and all the team for all their efforts, their service has been second to none. Your employees are extremely dedicated and hard working. Your work hours are great for customers. I want to make specific mention of the fact that Foxtons currently has in its employ, one of the most professional, courteous, hard working and motivated persons in its rental team at North Finchley. His name is Tom and I was quite frankly blown away by his shear determination to provide the highest level of service possible to my wife and I. I am now convinced that any of my future property dealings must involve Tom at some level, regardless of whether it is rental or sales, as I believe he is without a doubt the best agent I have ever encountered in the industry. None can hold a candle to Tom's outstanding service, care and attention to the little details. He is a true professional, and Foxtons should be proud, if not greatful, to have such an amazing agent on its team. I have no intent ion of using any other company but Foxtons and no other agent but Tom in my future property purchases, and I will recommend Tom in a heartbeat to any of my colleagues and friends who require the services of Foxtons. Good afternoon, I just would like to pass my "Thank you" to Tom and Josh for there professional approach and service . Also I would like to bring to attention of management that team work between two boys were One to None. Keep up the good work. Foxtons North Finchley are a member of the key governing bodies, abiding by the strictest codes of practice. 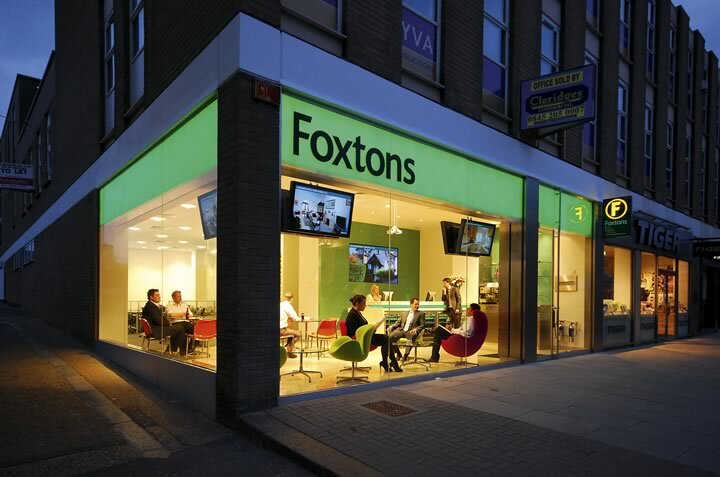 Why use Foxtons North Finchley? The North Finchley property market is competitive. Foxtons can give you an advantage.